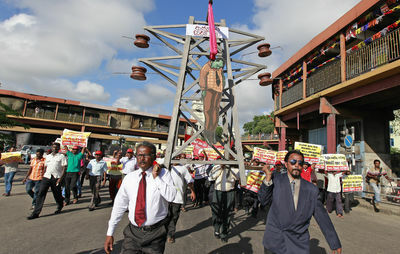 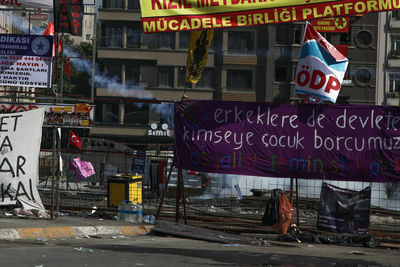 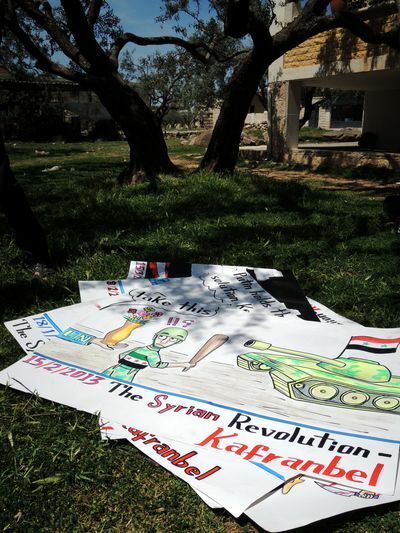 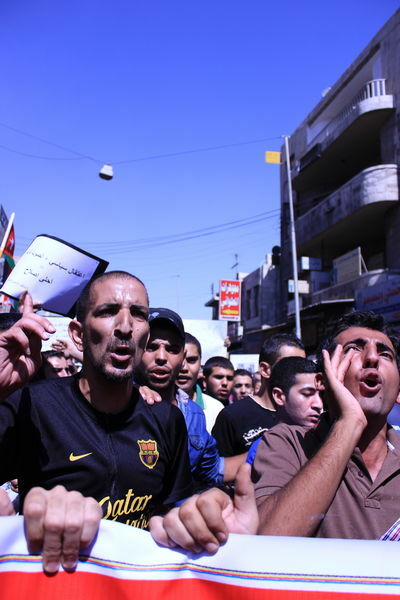 Traces of a gas bomb with the contrasting slogans and flags. 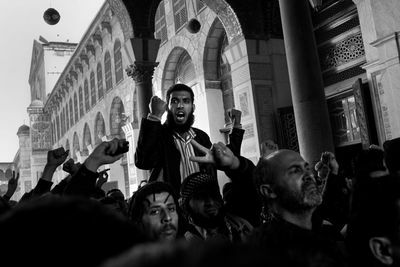 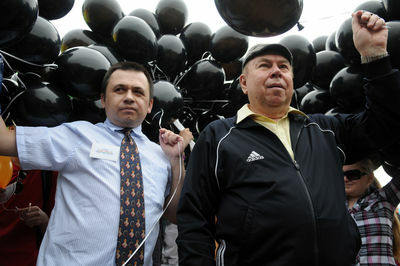 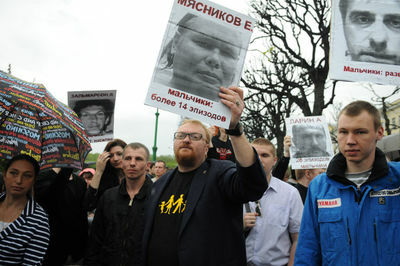 Vitaliy Milonov and anti-gay activists shouting slogans during gay right rally in St. Petersburg. 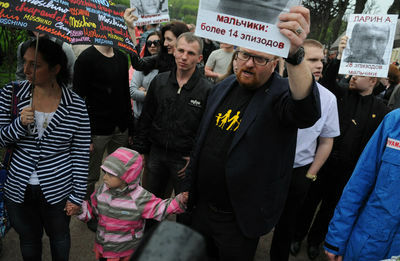 Some of several dozens of gay rights activists shouting slogans and hold posters during their rally in St. Petersburg. 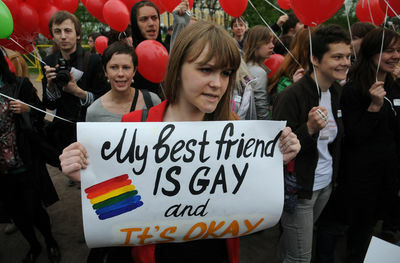 Anti-gay activists shouting slogans during gay right rally in St. Petersburg.